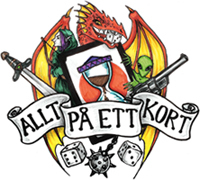 Fjärde expansionen i Dance of Shadows-cykeln till A Game of Thrones: The Card Game (2nd Edition) med 60 nya kort att bygga lek med! The long summer has drawn to an end in Westeros. The creeping shadows extend their reach and those who thrive in darkness formulate plots that will change the course of history for the entire world. 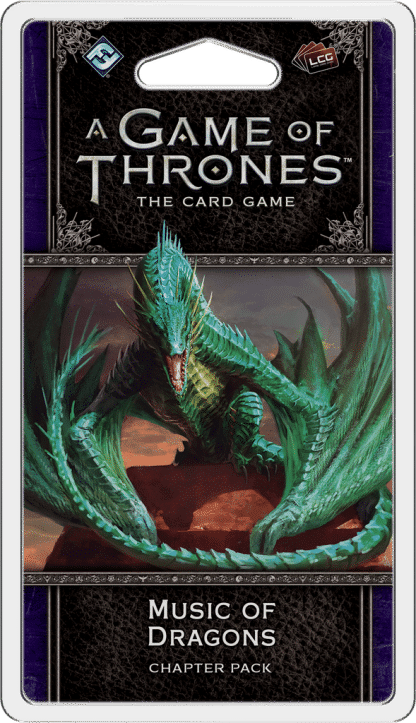 In Essos, Daenerys Targaryen struggles to secure her position as the queen of Meereen as assassins plot her downfall and a deadly plague runs rampant through the streets. In King’s Landing, Cersei and the Tyrells bicker between one another as unrest sows among the city’s common folk and the Faith of the Seven starts to gain popularity and power. Finally, in the North, Jon Snow is constantly met with resistance as he attempts to perform his new duties as the Lord Commander of the Night’s Watch. When darkness descends, who will rise and who will fall? 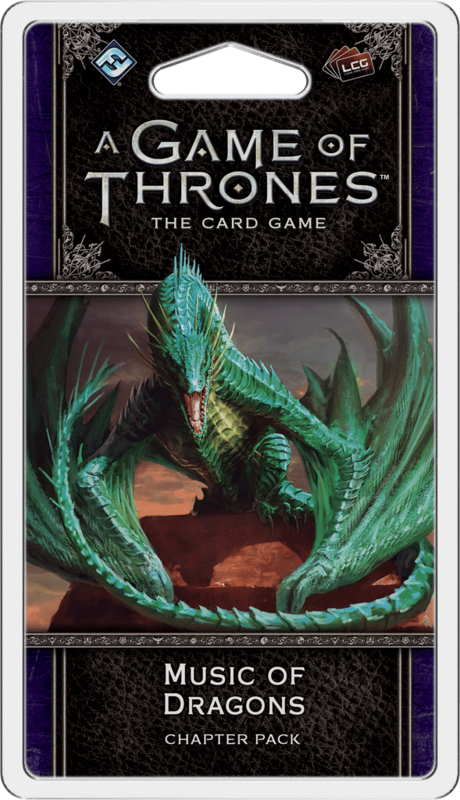 Music of Dragons is the fourth Chapter Pack in Dance of Shadows, the fifth cycle of A Game of Thrones: The Card Game. As the story moves into the pages of A Dance with Dragons, you will see the return of the Shadow mechanic from the game’s first edition. Throughout the cycle, you will gain characters, locations, attachments, and events bearing this new keyword, ready to creep in darkness until the opportune moment to strike. With this new layer of mystery and intrigue, you will have to either embrace the underhanded shadowplay, or watch as your House fades into nothingness.